Halloween Horror Nights 8 is back at Universal Studios Singapore! 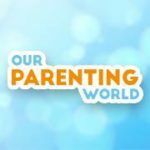 Our Parenting World – OPW Media team mustered enough encourage to venture into the unknown and can we conquer our fears when we explored the scary Haunted Houses and Scare Zones? We braced ourselves for the “infinite fear” to check out what’s happening at Halloween Horror Nights 8. From now till 31 October, visitors can look forward to embark on a scary adventure into the haunted houses, live shows and scare zones available at this annual Horror Scare Fest. Before we entered into Killuminati, we already heard lots of loud screaming from the visitors venturing into this haunted house and that already built up the suspense from those waiting to go in. This is the place where you can find out the bloody truth behind locked doors as it will reveal a world full of mystery, controversy and nightmares where the Chinese secret society of vampires have been around for centuries. Look out for 2 haunted houses with well-known Asian ghosts, one is the Japanese Ghost based on the Japanese famous ghost story of Yotsuy Kaidan where you can come face to face with Lady Oiwa from the Edo-era of Japan. She has been poisoned by her unfaithful husband and she is back for revenge. The other one is the legend of the Pontianak, where you will meet the ghostly pale face ghost covered with long dark hair and sharp nails when you step into the Malay Kampong. Look out for the Stranger Things which is in collaboration with Netflix’s Stranger Things where visitors will find out the haunting secrets and uncover Stranger Things as you venture into the Upside Down and Hawkins National Laboratory. Do expect long queue at each haunted house and some can be as long as an hour wait, best to get Express tickets if you can. Visitors are not allowed to take photos or videos when you step into the haunted houses. There are two horror-themed scare zones, Apocalypse and Cannibal. Both are open area for visitors to walk through where the scare performers will roam freely. Be prepared! At Apocalypse where you will experience chaos and fear where Mother Earth unleashes her most terrifying force and destroys everything in her way. At Cannibal, you will come face to face with the ancient tribe of man-hunters secretly thriving in the Dead Land. Can you escape from them? Watch what happened at Eight Lake Psychiatric Hospital when darkness falls, what will roam at the hospital? Watch the show at the main stage to find out, the show will be performed many times throughout the night. Halloween Horror Nights 8, 2018 is available across weekends and till 31 October from 7:30pm – 12:30am! Don’t miss it!